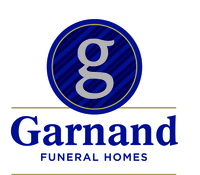 Welcome to the Home Page of Garnand Funeral Homes. Garnand Funeral Homes, one of the oldest and largest funeral service provides in Southwest Kansas is dedicated to providing leadership in the funeral industry. In a continuing effort to improve all facets of our business, our Home Page was designed to help individuals acquire a better understanding and knowledge of the many services, merchandise and options associated with the funeral profession. Please click on the location in which you are interested for a detailed view of that facility.